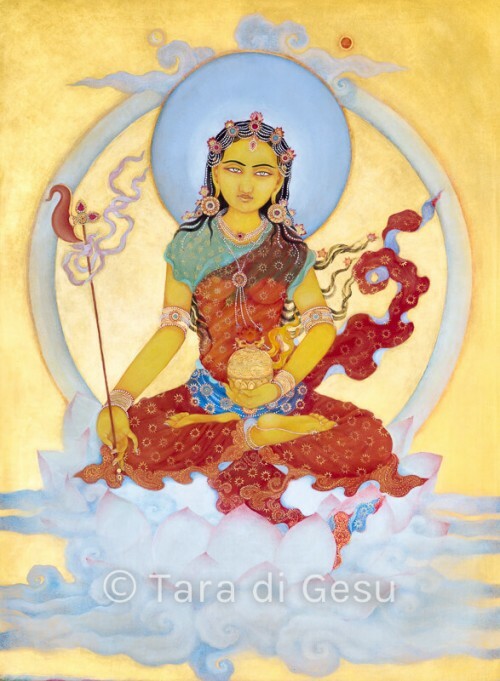 Literally “Lady of Long Life”, Tseringma is a powerful goddess who is believed to reside at Gaurishankar Mountain on the border of Tibet and Nepal. 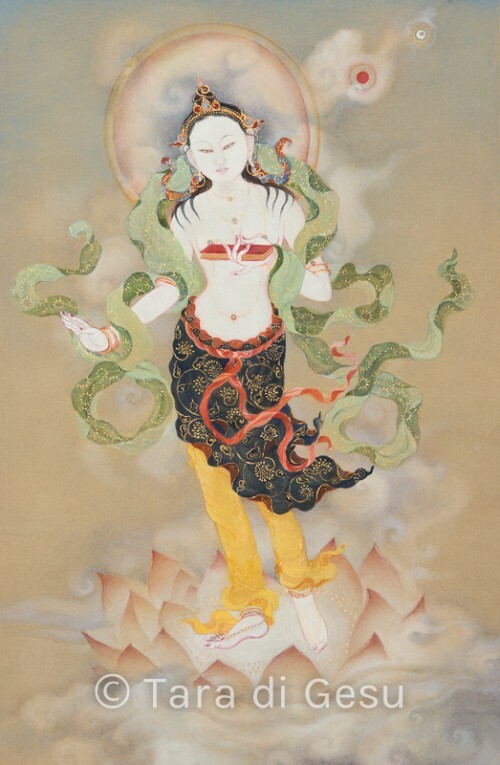 She, together with her four sisters, vowed to protect the Buddhist teachings. 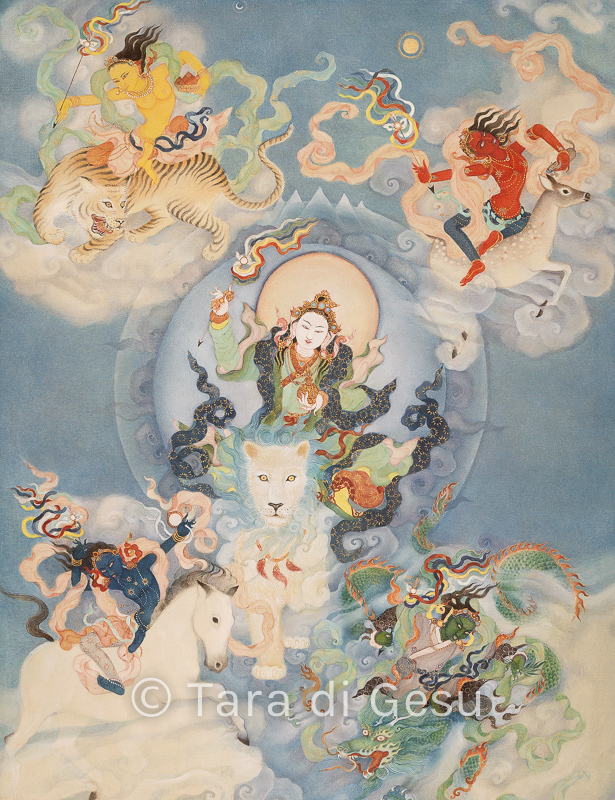 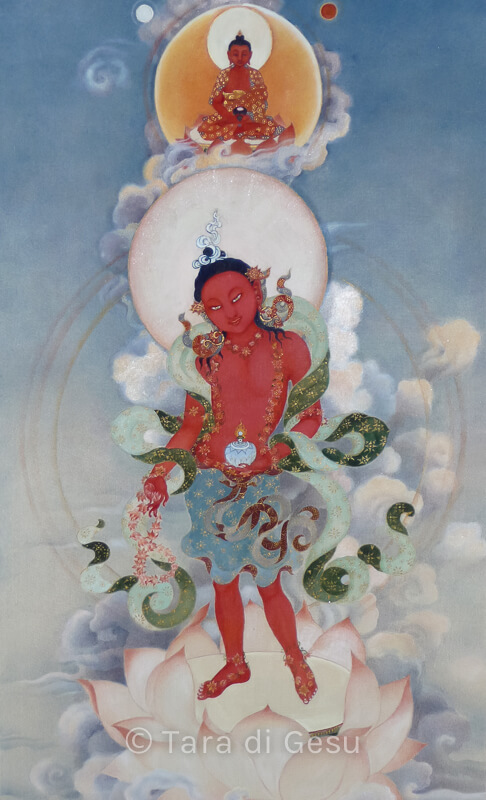 More information about Tseringma at Himalayan Art.